The name of the game here is comfort and mobility. You want to wear comfortable clothing with plenty of give like shorts, sweatpants, or athletic pants. If you do decide to go with jeans, make sure they are very well broken in. You also need to wear socks, but just any old pair won’t do the trick. For skating, thick tall socks are best. Ideally your socks should come up at least as high as the cut of your skate boots to prevent blisters. Finally, wear protective gear. 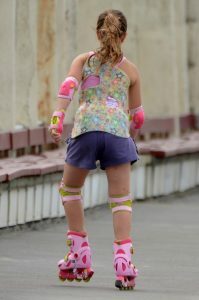 A helmet, knee pads, elbow pads, and wrist guards are always a good idea. Don’t wear anything restrictive. Jeans are generally a little too stiff and will hamper your movements. Short or tight dresses or skirts should also be avoided as they are too restrictive. Whatever you wear, you’ll need to be able to freely bend your knees. Of course, you also don’t want to wear clothing so loose that it can get caught in your skates. Make sure that none of your clothes (including drawstrings) come close to touching the ground. You should also consider potential hazards if you do fall. Big buckles, lots of zippers, or anything else metal on your clothing should be avoided as these can become potential hazards that can make a small fall much more likely to hurt. 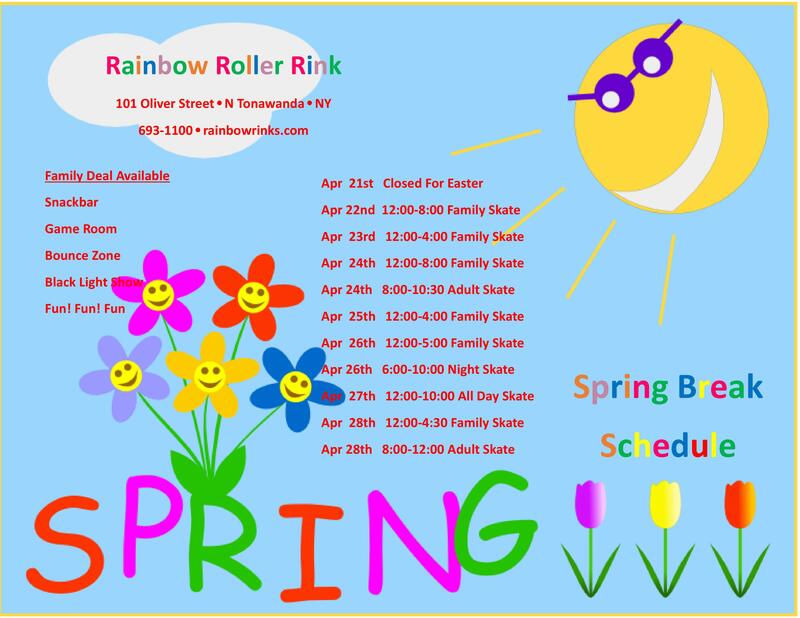 So put on your best skating outfit and come on down to our North Tonawanda skating center. And don’t forget to check out our upcoming North Tonawanda special events calendar.